In fact, having white teeth is something we try to obtain. Therefore, the over-the-counter products whitening teeth easily exceed the billion dollar revenue each year. Although these over-the-counter products are effective, they are quite expensive and may cause lackluster result or sensitivity of teeth. To save your money & time, we have compiled some of the natural home remedies to whiten teeth fast for smokers, which can help to restore your smile and cost-effectively. Smoking is known as one of the bad habits that can trigger several effects, including tooth decay, brown stains, yellow teeth, and bad breath. In addition, there are many causes of yellow teeth & tooth discoloration. For example, drinking tea or coffee or colas can also trigger to this issue. The yellow teeth may also be the issue that children & teenagers often face since they usually keep the improper habit of brushing or flossing. Actually, not many people spend time maintaining the natural white teeth and when it becomes the big problem day after day, it is more and more difficult to resolve. In order to get rid of the yellow teeth, you may think of dental bleaching, laser bleaching or other complicated procedures. 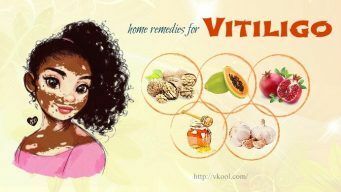 However, there are a lot of natural home remedies to whiten teeth for smokers on VKool.com that we want to share with you. They are the natural ways to get rid of the teeth stains and these tips will help you restore a beautiful and shining smile. Read the article to know more. Orange peel is considered as one of the natural home remedies to whiten teeth fast for smokers, which affects the Dental Health. Regularly using orange peel aids in reducing the yellow stains on the teeth and then cleaning them effectively. Besides, orange peel is rich in calcium and vitamin C, which can be useful in combating the microorganisms effectively. Use this remedy daily for a few weeks. Being a natural bleaching agent, hydrogen peroxide helps to kill bacteria in your mouth effectively . Many whitening products on the market contain hydrogen peroxide, although it is at a higher concentration than you can use. According to a study, toothpaste including baking soda & 1% hydrogen peroxide can help to give you significantly whiter teeth . Another study noted that brushing your teeth with commercial toothpaste having baking soda & hydrogen peroxide 2 times a day resulted in 62% whiter teeth within 6 weeks . Use a mouthwash containing hydrogen peroxide to gargle or rinse your mouth. Don’t swallow this chemical solution. Or, combine hydrogen peroxide with baking soda to form a paste and then gently brush your teeth with it. After all, brush your teeth again with your regular toothpaste. Note: Hydrogen peroxide can trigger irritation and make your teeth get sensitive, so be careful and remember to consult your doctor if necessary. In fact, oil pulling helps to improve oral hygiene as well as remove harmful toxins from your body. You just swish oil in your mouth in order to remove bacteria, which can cause plaque and the yellow stains on your teeth . Apart from sunflower or sesame oil, coconut oil is one of the popular choices because it offers many health benefits while its taste is pleasant. In addition, coconut oil is high in lauric acid that helps to reduce inflammation and destroy bacteria . Moreover, coconut oil consists of antimicrobial properties; hence, it is great for cleaning and protecting your gums. A few recent studies have found that using oil pulling daily reduces bacteria in your mouth, plaque, and gingivitis effectively . Simply put 1 tsp. of coconut oil in the mouth and then swish it between the teeth for 5 to 10 minutes. Or, add some drops of coconut oil to your toothbrush and then brush your teeth. Another option, apply a little coconut oil to a small corner of a washcloth and then rub it on your teeth. You should use the brush having soft bristles to avoid damaging your gum. Flossing doesn’t come as easily as the process of brushing, but it is believed to be much more important than brushing. This may be because it promotes the stains on the teeth all the time. Therefore, floss 2 times a day to make the teeth look whiter. As you may know, the enamel is made up of vertical rods. Therefore, brushing the teeth from side to side damages the enamel. So, remember to brush the teeth in a circular motion to avoid weakening the teeth. Baking soda is the natural remedy which has a lot of effects for skin, hair, and face. It is also one of the natural home remedies to whiten teeth fast. It has natural whitening effects, which is why it is a popular ingredient in toothpaste. It is also a mild abrasive that helps to scrub away the stains on the teeth. Moreover, it forms an alkaline environment in the mouth, which helps to prevent bacteria from growing . Although there is no evidence showing that brushing the teeth with plain baking soda whitens your teeth, several studies find that toothpaste containing baking soda has a whitening effect. According to a study, toothpaste containing baking soda is more effective at eliminating yellow stains from the teeth than toothpaste without baking soda . Mix 1/4 tsp. of baking soda with your regular toothpaste. Brush the teeth with this mixture and then rinse with warm water. Repeat it 1 or 2 times per week. Or, gently scrub your teeth with diluted baking soda for at least 2 minutes. Do this method 2 times in the first week, then every 15 days. Remember that excess use of the baking soda may strip the teeth of its enamel. Alternatively, take the juice of one lemon and then add this juice and 1 tsp. of baking soda to a bowl. Mix them well. Use a cotton ball to remove the current saliva & plaque from your teeth. Brush the teeth with the mixture and keep it on the teeth for 1 minute. Brush the teeth with the mixture. Repeat this way 1 time per week. Note: If you have any irritation, you should stop applying this remedy. Besides, don’t leave the mixture on your teeth for more than 1 minute because its acid erodes your enamel. Another option for home remedies to whiten teeth fast is strawberries. Strawberries are very high in vitamin C that can help to break down plaque causing the yellow stains on your teeth. It also contains malic acid, an enzyme that may aid in removing the stains. According to a recent study, the mixture of strawberries and baking soda produced very little change of the color in the teeth, compared to whitening products on the market . Crush 2 strawberries and then rinse your teeth with the paste gently. Repeat this way at least 2 times per day for several weeks. Mash 1-2 strawberries into a pulp and then add a small pinch of sea salt & 1/2 tsp. of baking soda to it. Wipe the saliva off your teeth by using a paper towel. Apply generously the mixture to your toothbrush and apply it to your teeth. Let the mixture on for 5 minutes. Finally, rinse it off. Do this method nightly. The bleaching effect in lemons can help to get rid of the yellow discoloration. In a point of fact, gargling with a little lemon juice and using the lemon peel to scrub your teeth is one of the effective home remedies to whiten teeth. Mix some drops of lemon juice with some salt together. Apply this mixture on your stained teeth and then rub the paste on your teeth & gums. Leave it on there for several minutes and rinse your mouth with water thoroughly. Do this method twice daily for 2 weeks to remove tartar & yellow tinge. As you may know, apple cider vinegar has commonly been used as a disinfectant & natural cleaning product for centuries. The acetic acid in apple cider vinegar helps to kills bacteria effectively. The antibacterial effect of vinegar is useful for cleaning the mouth and whitening the teeth . To use apple cider vinegar as a mouthwash, you should dilute it with a little water and then swish it around your mouth for a few minutes. Remember that you should rinse your mouth with water afterward. Salt is considered one of natural home remedies to whiten teeth for smokers. It helps to replenish the lost mineral content in your teeth and aids in reviving the natural white color. Use common salt regularly every day as a tooth powder. Another option, mix common salt and charcoal together and regularly brush the teeth with it. You may also mix common salt and baking soda together and rub it gently on your teeth. Be careful when using salt because it may cause damage to the gums & enamel if used roughly. Have you ever ask a question: Is there any simple home remedies to whiten teeth? The answer is yes. Eating a crunchy apple can scrub your teeth like a toothbrush and make them whiter. Eat 1 or 2 apples daily to remove yellow stain present on your teeth. Remember to chew it thoroughly, which help the acidic nature and fiber-rich rough flesh of the apple to get ample time to act on your teeth. You may also eat some other crunchy foods such as cucumbers, broccoli, and raw carrots. We all know that banana contains nutrients and versatile. Especially, banana is the effective home remedy to retain the whiteness because it has excellent minerals like magnesium, manganese, and potassium. These minerals are really good for whitening the teeth. Rub the banana peel on the teeth for 2 minutes. Then use your toothpaste to brush the teeth. Repeat this method 2 or 3 times per week. Other natural home remedies to whiten teeth are various herbs, including licorice root and sage. Licorice root is used as a common ingredient in Africa in order to clean & brighten the teeth. When using licorice root, you just take a small piece of licorice root and chew it. It will definitely help to get rid of the yellow stains. Another among herbal remedies to whiten teeth is sage. It is quite known as the antifungal & antibiotic product that is effective in cleaning and whitening the teeth. The sage may be used as a type of toothpaste when you mix the powder of sage leaves with a tsp. of baking soda. Certain fruits contain several properties that help to whiten the teeth effectively. Regularly consume some raw fruits & vegetables to aid in rubbing off plaque and keeping your teeth bright. Some people claim that using pineapple can help to whiten the teeth. According to a study published in the journal of young pharmacists, a toothpaste including bromelain, an enzyme in pineapples, is significantly more effective in removing the stains on the teeth than standard toothpaste . Nevertheless, there is no strong evidence that eating pineapples offers the same effect. 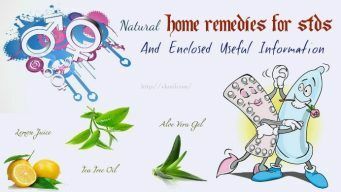 These are 13 natural home remedies to whiten teeth fast that I want to introduce in this article. It helps not only clean and brighten teeth for smokers but also resolve any teeth ailments caused by a variety of reasons. However, in order to have whitening and shining teeth, it is necessary to stop smoking and chewing tobacco. Finally, I hope that these 13 tips on home remedies to whiten teeth for smokers will provide you the effective information you need. 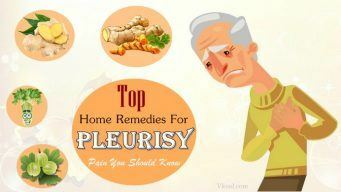 To get more information about various health conditions, go to visit our main Home Remedies page. If you have any questions, please feel free to ask me. I will answer all your questions you leave at the end of the post.